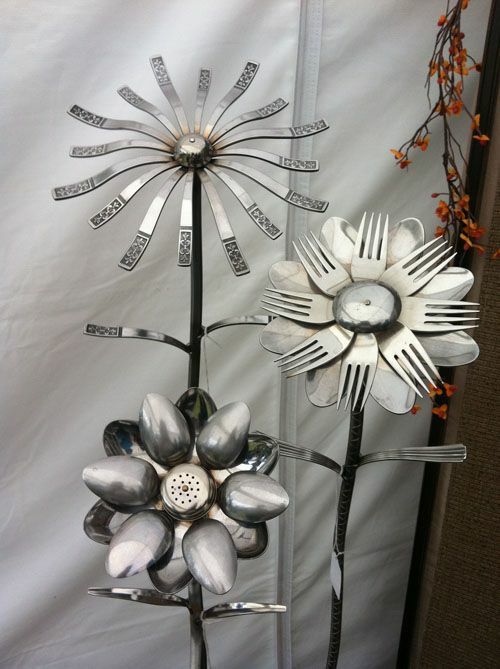 Would look awesome in a garden. 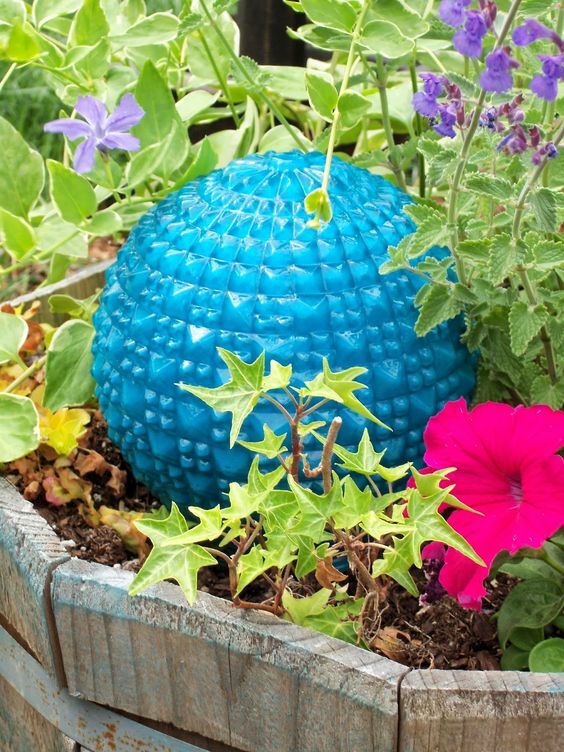 Love the colors . .
oh wow - so col! 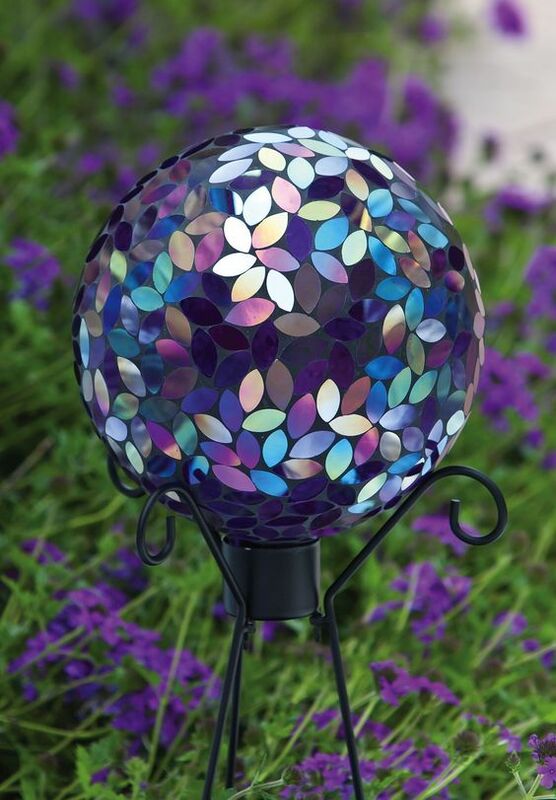 old lights painted and in the garden.,...she is so creative!! 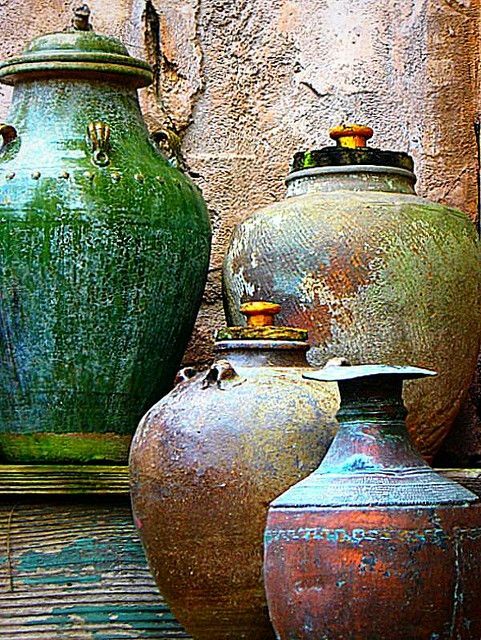 (Make The Best of Things). 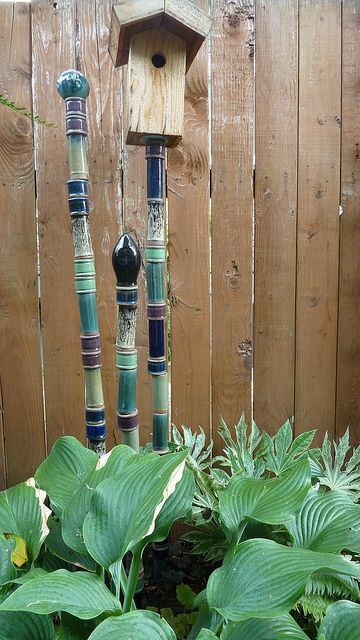 Back garden - ceramic garden totems - September 2012 by Outbox, via Flickr. 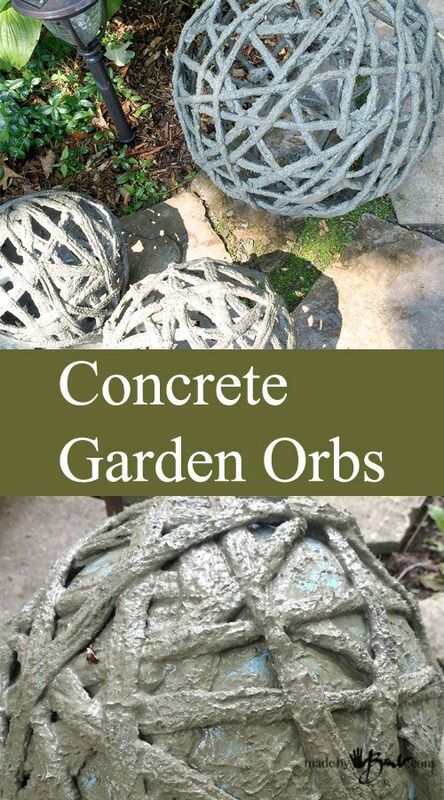 Concrete Garden Orbs Feature . 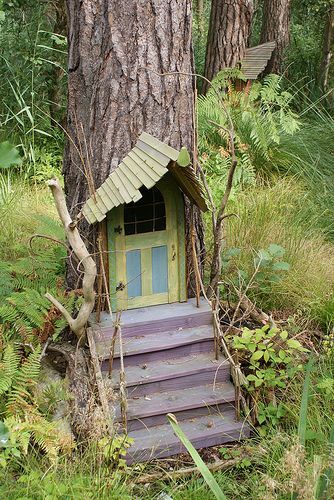 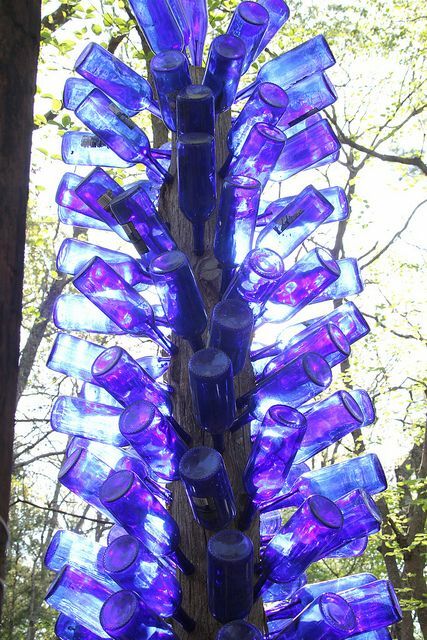 Garden Gnome front door To cute for words..
Blue Bottle Tree . .
Man and woman - stone + wood + cord. 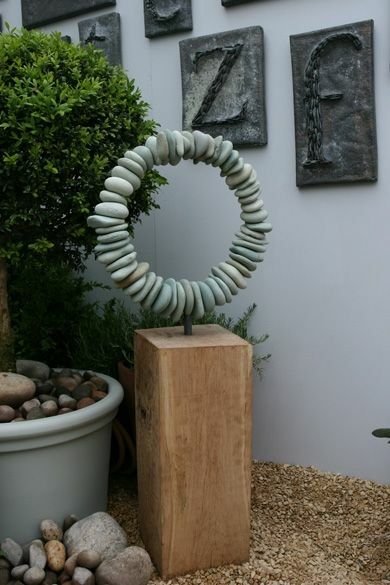 Japanese green sandstone pebbles, drilled and threaded onto galvanised steel armature, mounted on french oak base. 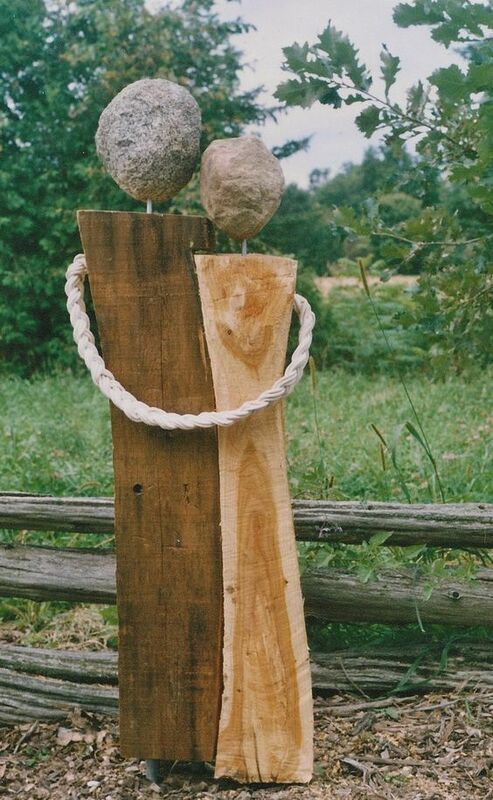 dimensions 400mm diameter, 940mm tall including wood.